Colombian singer Juanes came to Cuba and put forth a big old concert with number of other international stars in the Plaza de la Revolución, well over a million people were in attendance, school even hooked up free buses out there. Good times. other side of the hallway is the ocean view kind of blocked by another dorm. currently living with uruguayans and brazilians. estou falando muito portugues. a ton of new delegations have arrived at the school as well, some 20+ new countries are now being represented from as close as the Caribbean, to as far as the South Pacific, countries I've never even heard of. It's going to be a good year. gate B1 and i'm out. updates from the field coming soon. Back to school/Cuba next week, catch me before I'm out. calle. santos suarez, la habana, cuba. 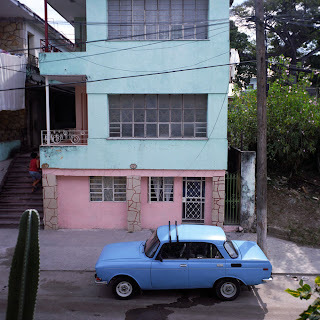 It's hard to do color balance on photographs with ridiculous color hues, thus is Cuba. and the gorilla turned to the zoo keeper and signed, "please, kill me..."
This weekend I journeyed 12 hours west to the Grand Rapids area (Michigan for those not in the geographical know) with my brother (formerly of Brooklyn, now of Jersey) and his family to go see my other brother and his family out there. Good times overall even got to kick it with my SSWE/ELAM buddy on some small world coincidence. 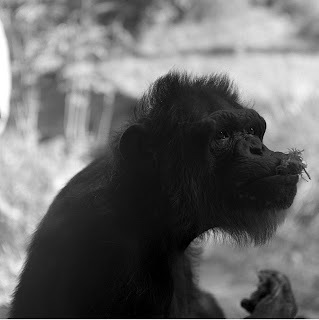 On Saturday we all hit up the John Ball Zoo (not too shabby for a smallish zoo) which was in a totally random location. gorilla. grand rapids, michigan, usa. Is it just me or do the grand majority of animals in zoos look depressed? I can barely recall my weekly childhood visits to the Bronx Zoo but I'm sure they looked just as sad. I'll be visiting the Zoológico de La Habana later this year, so we'll see if the same theory stands abroad.